I decided this summer to read the Hiding Place again. I’d read this book a couple of times before but this time in reading it I found precious gems of Truth that I had never seen before. 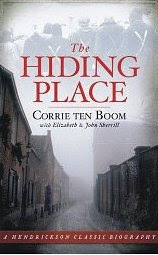 For those of you who are unfamiliar with the Hiding Place, it is the story of Corrie TenBoom and her family who were taken captive during World War II in Holland for sheltering Jews. As I perused this book again new truths came to light that caught me by surprise and took my breath away.
. . . As the rest of the world grew stranger, one thing became increasingly clear. And that was the reason the two of us (Corrie and Betsie, her sister) were here. As for us, from morning until lights-out, whenever we were not in ranks for roll call, our Bible was the center of an ever-widening circle of help and hope. 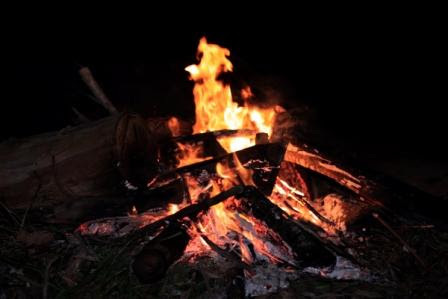 Like waifs clustered around a blazing fire, we gathered about it, holding out our hearts to its warmth and light. The blacker the night around us grew, the brighter and truer and more beautiful burned the word of God. I would look about us as Betsie read, watching the light leap from face to face. More than conquerors . . . It was not a wish. It was a fact. We knew it, we experienced it minute by minute – poor, hated, hungry. We are more than conquerors. Not “we shall be.” We are! Life in Ravensbruck took place on two separate levels, mutually impossible. One, the observable, external life, grew every day more horrible. The other, the life we lived with God, grew daily better, truth upon truth, glory upon glory. Did you catch it? . . . We ARE more than conquerors. Not “we shall be.” We ARE! As I look at these verses through Corrie’s lens I realize that my understanding has been incredibly distorted due to my overwhelming need for comfort. And it’s almost as if I can hear Corrie saying . . . “God was with me every step of the way. He WAS my fortress in times of tribulation. He WAS saving me and I DID find shelter in Him. I’m ashamed at how easily I slide into a faith that is only concerned about my comfort and not God’s ways. LORD, rescue and save me from myself! From my foolish desires, from my own need for comfort. Teach me to follow you with my WHOLE heart. Your love is never conditional – may my love for You never be conditional either. ← The Least of These . . . I pray that SO often! !